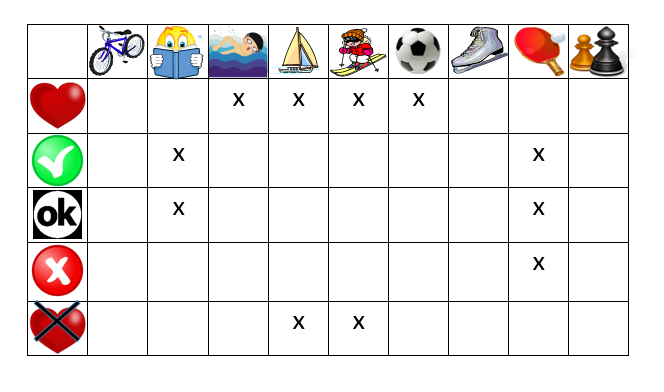 Currently viewing the tag: "Speaking"
Click on the image below to download the hobbies battleships game in PDF format and scroll down further for a full explanation of the game. 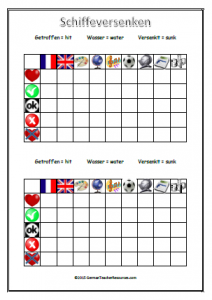 Many students will have played this game before in English, although some will need instructions. 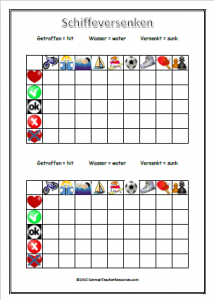 The partner will then say whether the guess is a “hit” (getroffen), “miss” (Wasser) or when they have completed sinking a whole ship, “sunk” (versenkt). 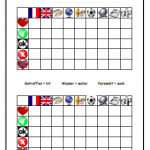 Students can use the second grid to make note of their guesses. If the guess “hits” a ship, the guesser has another go. If it is a miss, play passes to the other player. 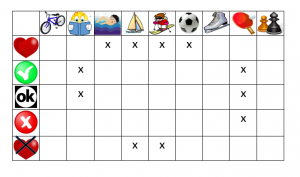 The winner is the first to sink every one of his/her opponent’s battleships. 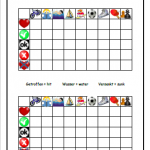 Click on the image below to download the school subjects battleships game in PDF format and scroll down further for a full explanation of the game. 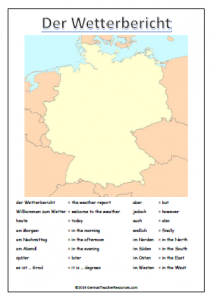 A worksheet to help students to plan a German weather forecast, including a blank map and a selection of useful vocabulary. 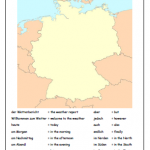 You can also find a PowerPoint to introduce the weather and the task here.